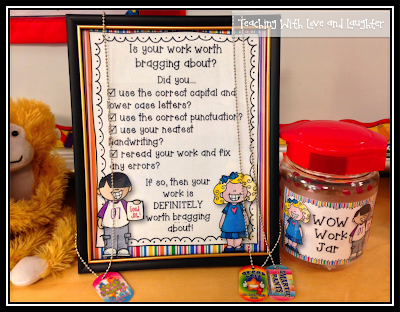 Teaching With Love and Laughter: Brag Tags Giveaway! Can you I just tell you how much I LOVE Brag Tags from Boost Promotions?! I have seen these cute little tags all over blogland and was so excited when the company contacted me and offered me 100 Brag Tags of my very own! These are the tags I chose. 4 different designs. 25 of each design. And, they are customized with my name! Yay! I knew right away what I was going to do with them. A few days after I received my Brag Tags, the WOW Work Jar was created! Every time my students produce WOW work, they write their name on a little piece of paper and put it in the jar. On Friday, I choose a name from the jar, and that lucky winner wins a Brag Tag. Since they know the more often their name appears in the jar, the better their chances are of winning, they are really trying hard to produce work worth bragging about. It's not easy, though! There is so much to think about as they are writing. When they succeed, they are so happy for themselves! These cute little tags are a great motivator and I am excited to tell you that Boost Promotions is allowing me to give away 100 Brag Tags to a very lucky blog follower. The winner will get to choose up to 4 different designs. That is very generous of Boost Promotions! To show your appreciation to this wonderful company, please enter the contest honestly, using the Rafflecopter below. There are many different ways to enter and the more you choose to follow, the better your chances are of winning. One more thing! If you would like a WOW Work Jar in your classroom, just click the image below to download. I used Brag Tags when subbing for character and handed 1 or 2 out each day if I found someone worthy and boy did the children love them in each grade level, the rest of the class was jealous! My kinders LOVE brag tags! They are a huge motivator for them. Fingers crossed! I used brag tags last year in my classroom - my kiddos loved them! Haven't been able to afford them this year because of a phonics program change (we had to purchase all of our own materials except the manual :( ). Thanks for the opportunity! I don't know how to do "pinterest." Bummer! I shared but I can't figure out how to get the link! I made the share public! those are amazing!!! Even if I dont win I have to get some! Love your idea!! This contest is amazing!! My old school used brag tags and I've been trying to convince my new school to get on the bandwagon! The freebies would let me show how it works with my grade level and then who knows? These look like so much fun. I know my kids would love them. I pinned this on Pinterest awhile back. It looks like a great motivator. I love your wow jar idea! GREAT IDEA!!! Can't wait to try it! I have been thinking about getting brag tags for my class, but I wasn't sure how I wanted to handle them. However, I absolutely love your WOW jar! That may be the way to go for me since I would probably forget to be consistent about giving them, but a WOW jar will help me since my kids would help me. I shared but couldn't get the url as I was on my phone. I live your Blog it provides me with good quality ideas. Love the ideas! I'm using star necklaces this year(left over from July 4th). My students absolutely love brag tags! I LOVE your WOW jar. Just downloaded it and cannot wait to make my own WOW jar for my classroom. Thanks for sharing. I would love to win these! My kids would be very motivated to earn them. Love these! I have been dying to try some with my kiddos! Thanks for a great giveaway! I've seen these before and forgot about them. What a great incentive for great behavior, etc! These would be awesome!! Getting ready to check out all of their products!!! LOVE these!! I want to win them sooo bad! I may need to break down and buy some! These would be perfect to use for an incentive for great work, or great behavior. My students would love these so much!!! I LOVE brag tags! My kids love them too...along with our classroom "dog tags". Awesome giveaway! Thanks for the giveaway! I'd LOVE to use brag tags in my class. I'm even trying to convince our PTC that we should do brag tags school-wide! i clicked the picture, but nothing happened. 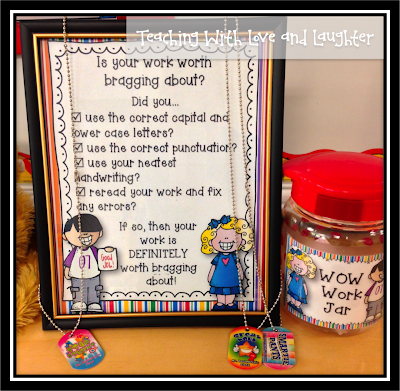 Love your wow jar and the brag tags are so cute! Loving the wow jar!!! I need to add it to my class~ Thanks for a great idea and offer!! My big kiddos love brag tags! Thanks for offering a chance at winning some. What an awesome give away! I would love these brag tags! What an incredible motivator, especially for the tough group of students I have this year!! I absolutely love this idea! Even if I don't win the tags I think I'll come up with something to make the idea work! Thank you for sharing this awesome idea. I love the brag tags:) I also love your blog. Thanks for sharing! I love using brag tags in my classroom! They love earning them and I love seeing how excited they get! I would love to have brag tags. I have been using the ones made on TPT. 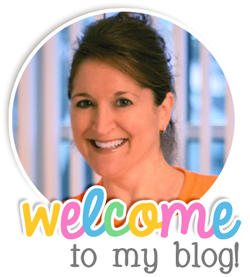 Love your blog and getting your email. Would love to brag on my kids! These look really cool and I think my students would love them!! These are so cute! I can think of lots of different ways to use these to motivate my kiddos! I feel a bit silly to say that I have never really seen brag tags. Oh, how my little 3rd graders would be motivated by these. They are so bright and fun. Thanks for opening my eyes to them. I need to find some of these. THANKS!! This is such a fun way to reward kids! My second graders would love these! I love these tags. What a great way to reward the kids. OMG! I won! Thank you I am very excited and just ordered my 100 tags. Awesome idea to motivate students.